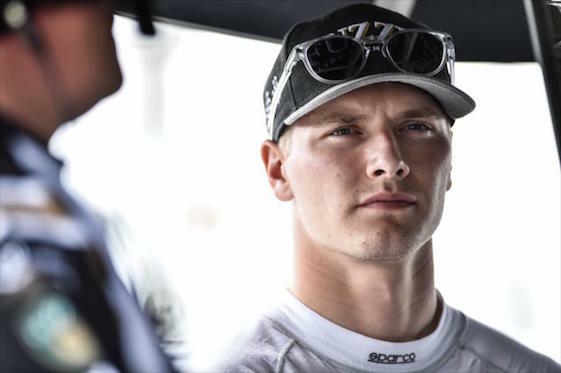 Ed Carpenter Racing has confirmed the longest-running rumor of the 2016 Verizon IndyCar Series season _ rising American star Josef Newgarden has left the building in Speedway, Ind. Newgarden, who finished a career-best fourth in this year’s championship, informed team-owner/driver Ed Carpenter on Thursday that he will not be returning to the team for the 2017 season. Various reports have Newgarden, 25, headed to Team Penske as the replacement for two-time Indianapolis 500 champion Juan Pablo Montoya. In what would amount to a trade, Montoya is among the drivers rumored to be in consideration to replace Newgarden at ECR. Carpenter said ECR is evaluating all options for next season’s lineup. Carpenter will continue to race the No. 20 Fuzzy’s Ultra Premium Vodka Chevrolet in the six oval events on the 2017 schedule. ECR’s remaining lineup will be announced at a later date. Since entering the Verizon IndyCar Series in 2012, ECR has scored seven victories with three drivers, including a 1-2 finish in 2015 on the Streets of Toronto with Newgarden and Luca Filippi. Newgarden’s three career wins came after joining ECR in 2015. The 2011 Indy Lights champion moved up to the Verizon IndyCar Series in 2012 with Sarah Fisher Hartman Racing, which merged with ECR in 2015. Andretti Autosport has extended its Indianapolis 500 race-winning partnership with Bryan Herta Autosport through the 2017 Verizon IndyCar Series season. The partnership formed in late February 2016 proved to be a success at the 100th running of the Indianapolis 500, where the No. 98 Andretti Herta Autosport with Curb-Agajanian Honda driven by rookie Alexander Rossi emerged with the victory via Herta’s strategy calls. Rossi, an aspiring Formula One driver, scored his first series win in only his sixth start and second on an oval. Rossi, the Indy 500 and Verizon IndyCar Series Sunoco Rookie of the Year, is scheduled to participate in an INDYCAR media teleconference to discuss his rookie season on Monday. The native Californian finished 11th in the final point standings. With a jump-start on the 2017 campaign, Herta will remain actively involved with overall Andretti team strategy. “I am super-thrilled to continue our partnership with Andretti Autosport,” Herta said. “We have a lot of exciting plans for the team throughout the offseason that I know can only make us more competitive for the 2017 season. Last year came together quite late, but this year we’ve committed early and that can only help better prepare us for next season. On a personal note, I would like to thank Michael and JF (Thormann) and the entire Andretti Autosport organization for welcoming our team into the family. The 2017 Verizon IndyCar Series Championship will begin for the seventh straight year at the Firestone Grand Prix of St. Petersburg, Fla., on a 1.8-mile temporary street circuit, March 10-12. Newly crowned champion Simon Pagenaud will be the center of attention when the 2016 Verizon IndyCar Series Championship Celebration takes over downtown Indianapolis on Tuesday. Monument Circle in the city center will buzz with INDYCAR activity throughout the day. Team transporters will line the south side of the circle beginning at 11:30 a.m., along with the Indy cars of Pagenaud and Alexander Rossi, winner of the historic 100th running of the Indianapolis 500 in May. Also on display will be the Astor Cup, the trophy presented annually to the Verizon IndyCar Series champion since 2011, and the iconic Borg-Warner Trophy featuring the likeness of every Indianapolis 500 winner. At noon, the first 250 fans are invited to enjoy a free lunch on the circle, provided by Qdoba Mexican Eats and hosted by Mark Miles, CEO of Hulman & Co., the parent of INDYCAR and Indianapolis Motor Speedway. The transporter display will remain open to the public throughout the afternoon. Verizon IndyCar Series drivers will begin walking the red carpet at 5 p.m. to enter the Hilbert Circle Theatre, site of the awards ceremony with a capacity crowd expected. Fans unable to attend the Championship Celebration are invited to gather on the circle to watch the drivers and VIPs arrive. Team Penske’s Pagenaud won the GoPro Grand Prix of Sonoma (Calif.) on Sept. 18 to clinch his first title. The Frenchman, who won five races in 2016, will be presented the $1-million champion’s prize and the Astor Cup during the ceremony beginning at 6:45 p.m.
INDYCAR will host Facebook Live chats with drivers and VIPs throughout the day’s activities on Monument Circle. A live video stream of the Championship Celebration will be available on IndyCar.com and the INDYCAR Facebook page, beginning at 6:45 p.m.
Sam Schmidt has experienced memorable wins as an INDYCAR driver and team-owner. But Schmidt achieved perhaps one of his greatest personal triumphs Wednesday, when he became the first American to receive an autonomous vehicle driver’s license in his home state of Nevada. Paralyzed from the neck down following an Indy car crash during a test in 2000, Schmidt has been working with Arrow Electronics since 2014 on its semi-autonomous motorcar (SAM) project. Schmidt was rewarded for the endeavor when presented his driver’s license at Las Vegas Motor Speedway _ site of his only Verizon IndyCar Series win in 1999 _ by Nevada Lt. Gov. Mark Hutchison. Following the crash, Schmidt formed a race team in 2001 that has competed in both the Verizon IndyCar Series and Indy Lights presented by Cooper Tires. He also started a foundation, Conquer Paralysis Now, whose mission is to find a cure for paralysis. Schmidt began collaborating with Arrow _ primary sponsor on James Hinchcliffe’s Schmidt Peterson Motorsports Honda the last two years _ on its modified Chevrolet Corvette Z06 two years ago. The SAM car is steered by infrared cameras that sense Schmidt’s head-tilt movements. A sip-and-puff tube enables Schmidt to brake and accelerate the car, while his voice commands tell the car to change gears and turn it on or off. He first drove the SAM car publicly on the Indianapolis Motor Speedway oval in 2014 and has driven it at several other Verizon IndyCar Series tracks since, most recently less than two weeks ago on the undulating road course at Sonoma (Calif.) Raceway. He returned to IMS this May, running as fast as 152 mph, and topped that by driving the car on the bottom half of the 12.42-mile Pikes Peak Hill Climb in June. The Nevada Department of Motor Vehicles has been working with Schmidt and Arrow since 2015 to become the first state to enhance regulations allowing Schmidt to legally drive the SAM car on the state’s public roads under restricted conditions. After the lieutenant governor gave Schmidt his license, Schmidt demonstrated his driving skills on the speedway’s Exotic Racing track and nearby public roads as part of a fund-raising event for Conquer Paralysis Now. Racing For Cancer, the non-profit organization founded by Verizon IndyCar Series driver Ryan Hunter-Reay following his mother’s death from the disease in 2009, is accepting reservations for its second annual Race to Beat Cancer racing instruction and competition event at Mazda Raceway Laguna Seca in Monterey, Calif., from Dec. 1-4. Hunter-Reay and fellow Verizon IndyCar Series driver James Hinchcliffe will assist Skip Barber Racing School coaches with participants’ instruction at the scenic, 2.238-mile permanent road-course. Four levels of participation are available for beginners and advanced drivers, ranging from a one-race program to a three-day race program that also includes a round of golf at the Pebble Beach Golf Links. All participation levels include exclusive dinners and receptions in the Monterey area, hot laps in a Porsche 911 and reduced rates at The Inn at Spanish Bay in Pebble Beach. For more information or to reserve a spot, visit RacingForCancer.org. Josef is heading to became an Indycar series champion ! And as soon as Newgarden wins an IndyCar Series championship…maybe he’ll raise interest in the Formula One paddock over at Haas F1 Team? Needs that Indy 500 win, too.